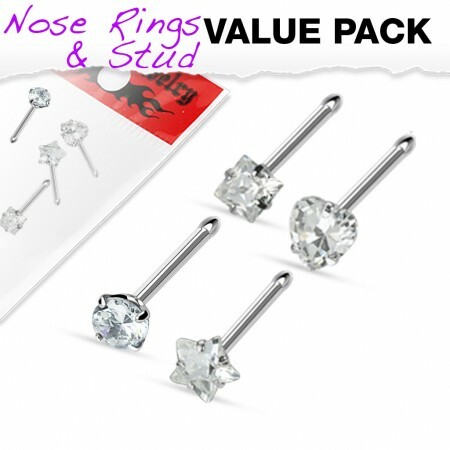 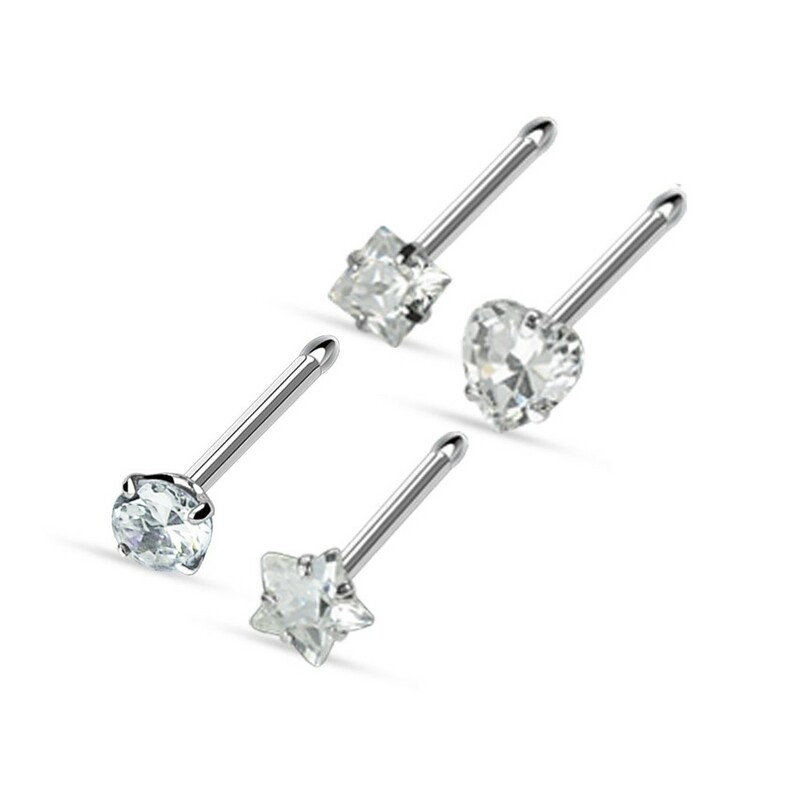 Get four nose piercings with this set! These nose piercings are made of steel and carry a clear crystal. 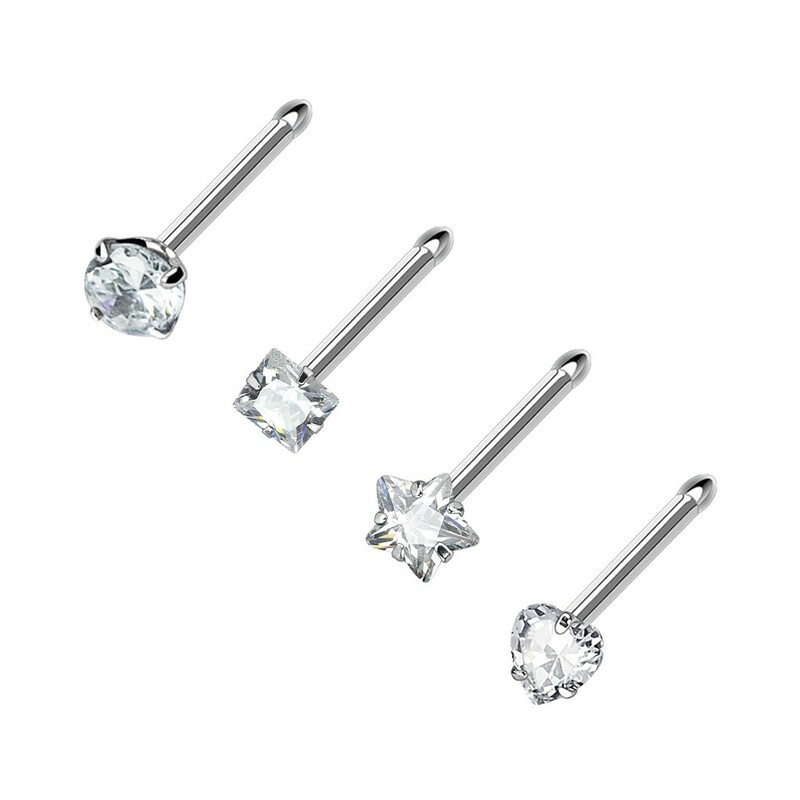 Each crystal is approximately 3 mm in size and comes in the shape of a sqaure, heart, round, and star.